Ed Darnell was appointed by Governor Edwards to fill the vacancy of Sheriff of Bamberg County in 1978. 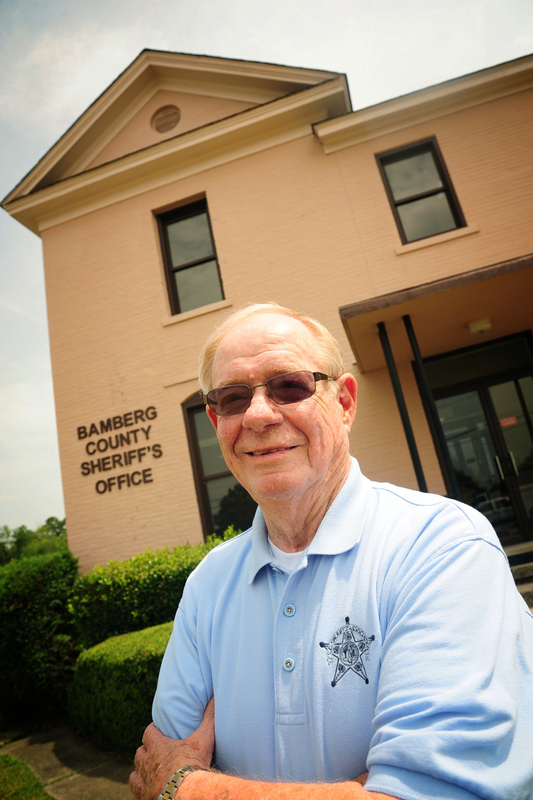 He has served as Sheriff continuously since 1978 and is committed to serving the citizens of Bamberg County. Sheriff Darnell attended the public schools in Bamberg County and graduated from Denmark High School in 1954. His career began in law enforcement in 1972 when he joined the Denmark Police Department. In 1973, Sheriff Darnell graduated from S.C. Criminal Justice Academy. He served as an officer of the Denmark Police Department until he was appointed Sheriff in 1978. He attended the National Sheriff's Institute in 1983. He has extensive training in the management and the daily operations of his office. Governor Hailey appointed Sheriff Darnell in 2012, to a seat on the Training Council of the South Carolina Criminal Justice Academy and he continues to serve on that Council. He has received numerous honors in include: President of the Sheriff's Association in 1986 and was voted Sheriff of the Year by his peers in 2001. He was elected Sheriff of the Year by the S.C. Law Enforcement Victim Advocate's Association in 2008, due to his strong advocacy for victim's rights in both Bamberg County and South Carolina. He is retired from the South Carolina National Guard and proudly served for 31 years in the Bamberg unit where he obtained the rank of platoon sergeant. He is a member of the Denmark Masonic Lodge 246 and the Omar Shiners' of Mount Pleasant. He is a member of the First Baptist Church in Denmark, South Carolina. He was President of the Sheriff's Association in 1986 and voted "Sheriff of the Year" in 2001. Sheriff Darnell is retired from the S. C. Army National Guard and a member of the Denmark Masonic Lodge 246.